WHILE business has slowed across Gladstone, AB Marine Services hasn't stopped growing. It was one of the businesses in town that boomed when the LNG construction came along. Although there may be some downsizing, owner Adam Balkin is looking at his options. He started the business in 2008 on his own, and now has 12 vessels and almost 20 staff. But he doubted that Gladstone would see another boom like that of the past five years. "We've seen the peak and we're going back to the days when we first started," he said. 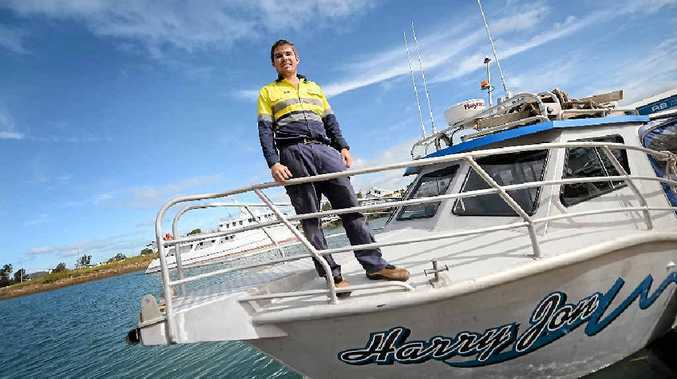 He said the company was already travelling throughout Queensland with some of its smaller vessels. "We will spread out but we will downsize as well," he said. Mr Balkin took over Curtis Ferry Services and its two ferries, which could lead him into tourism. "We need to keep things rolling over. There is probably going to be a move towards the Gladstone tourism industry," he said.